India reports the highest number of deaths due to lightning strikes. Lightning claimed 32,743 lives in the country from 2000 to 2014, making it an average 2,182 deaths a year. Compare this with the US which reported an annual average of 33 deaths due to lightning during 2004-2013. Of 20,201 accidental deaths attributable to natural causes in India, 12.8 per cent deaths were due to lightning, according to the National Crime Records Bureau’s report on accidental deaths of 2014. This means around seven people died due to lightning strikes every day. 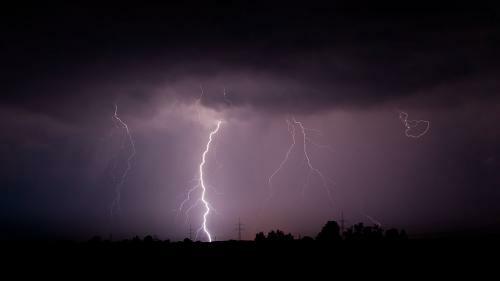 Madhya Pradesh reported the highest number of deaths due to lightning in 2014, followed by Maharashtra, Odisha, Uttar Pradesh, Bihar, Jharkhand and Chhattisgarh, among others. All accidental deaths due to forces of nature reported in Goa and Tamil Nadu were due to lightning in that year. Lightning strokes carry up to 100 million volts of electricity and tend to strike higher ground and prominent objects, especially good conductors of electricity such as metal. India Meteorological Department recommends taking shelter during a thunderstorm, preferably in a house or all-metal automobile (not a convertible top) or in a low-lying area.